The mountains around the lake offer great hiking possibilities from a few hours to an entire day, ranging from simple, peaceful lakeside strolls to steep mountain paths offering amazing panoramic views of the lake. Just remember to bring good shoes and a rain jacket. We provide detailed information and tips at the hostel and introduce you to other guests who want to hike as well. The views get even more spectacular when you share the experience with new friends! See famous Villa del Balbianello, location of the Star Wars Wedding and health resort for James Bond in Casino Royale. Visit Villa Carlotta and get lost in its beautiful botanical garden and art exhibition in the Villa itself. 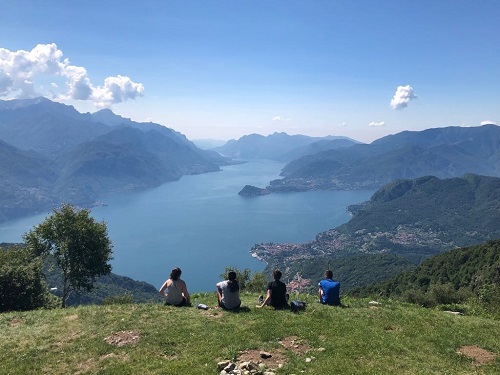 Wander around the narrow alleyways of Varenna and hike up to Castello di Vezio with a breathtaking view over the lake. 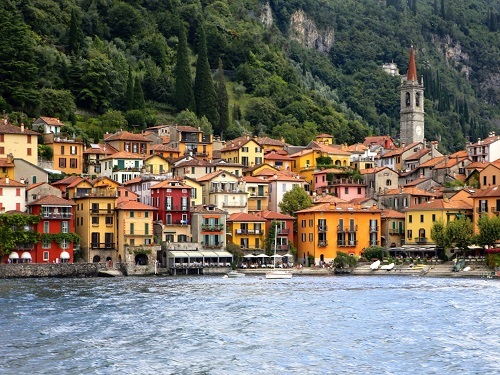 Situated on the peak of the Lake, Bellagio is known to be the Pearl of Lake Como with its fancy restaurants and shops, villas and gardens. Staying at our Hostel it is easy to plan a day trip to Switzerland. It only takes a one-hour bus ride to Lugano, famous for its Music Festival, bars and clubs. Take the world-famous panoramic Bernina Express Train and see parts of the Alps you normally don't get to. Cool down or sunbathe at the lovely tiny beach right in front of the hostel or at the fancy Lido Menaggio (discounts for hostel’s guests).